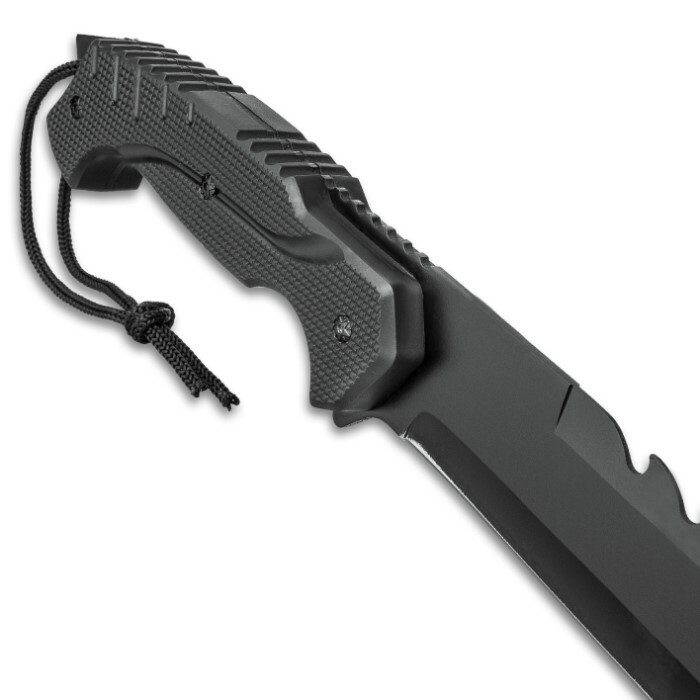 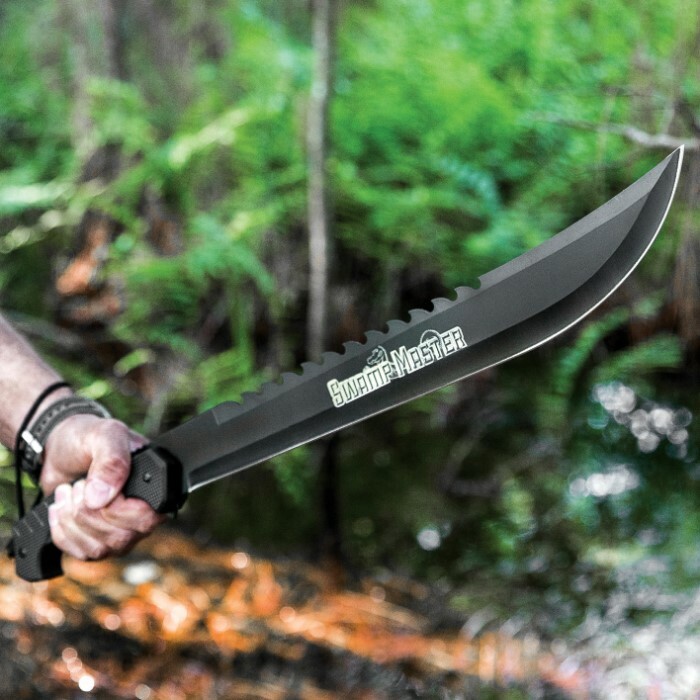 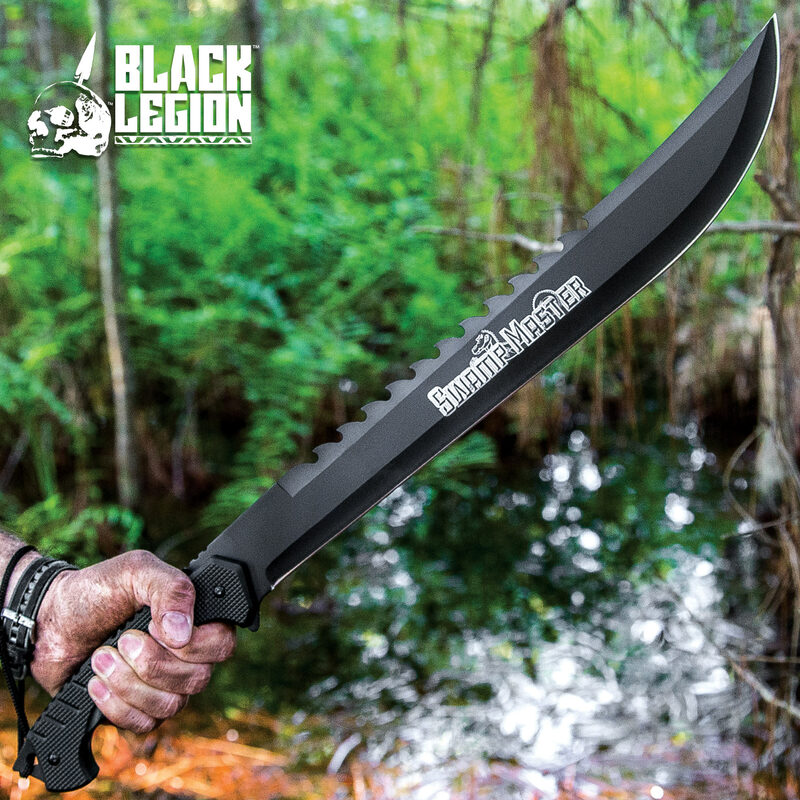 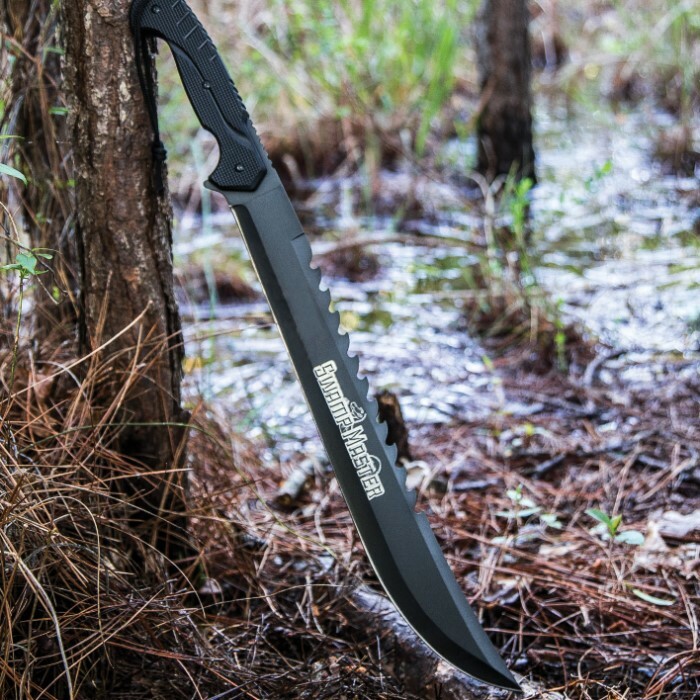 The Black Legion Swamp Master Machete Knife was built to ferociously tackle the densest vegetation and cut a path through any environment you are trekking through, whether it’s swamp, forest or backyard jungle. 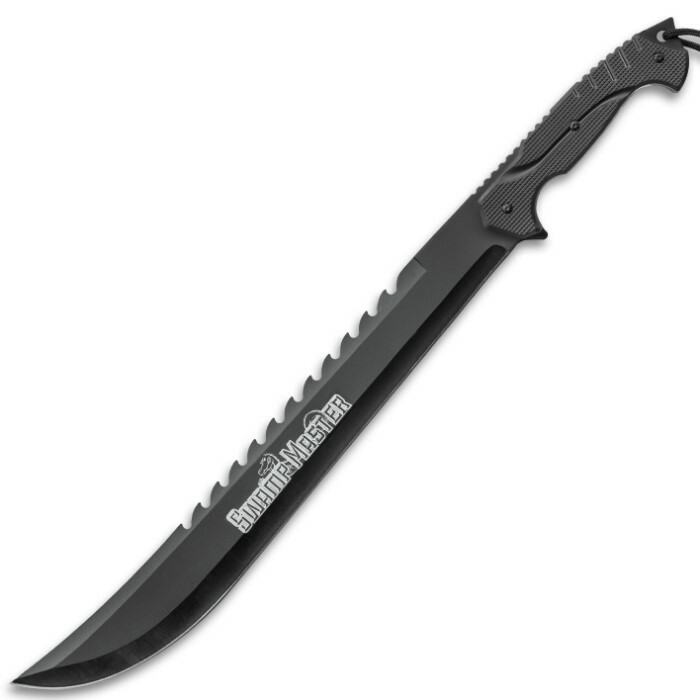 It has a razor-sharp, full-tang 18” stainless steel blade with a “gator tooth” spine and a black non-reflective finish. 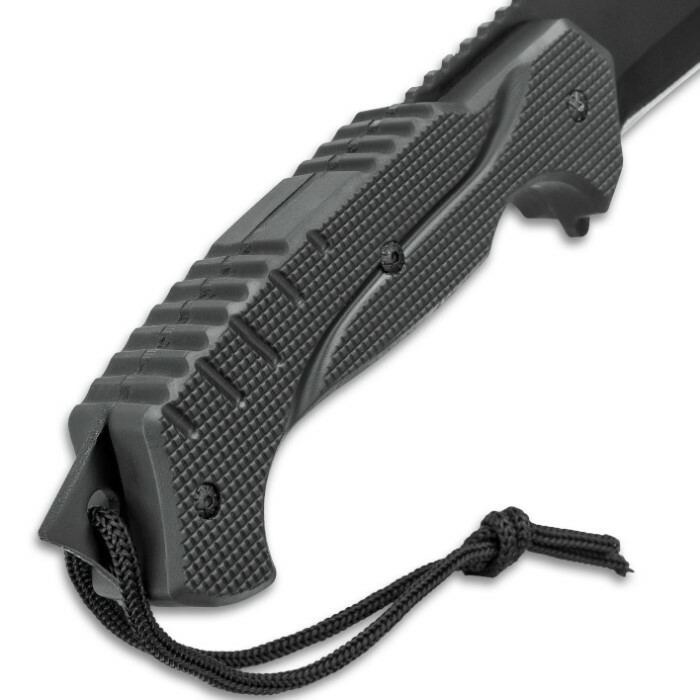 The tough TPU handle scales are textured to assure you of a no-slip, comfortable grip and a pommel lanyard is included. 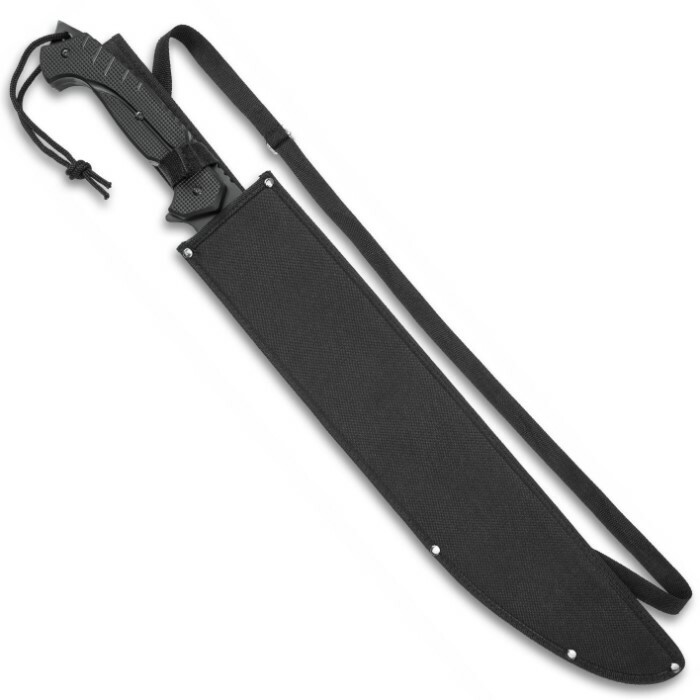 The 24” overall machete can be carried and protected when not in use in the included nylon belt and shoulder sheath.